Mix the dry yeast and sugar with 1/2 cup luke warm water (not hot !) and keep it aside for 10 mins. Combine flour, ½ teaspoon of salt, water and yeast mixture, knead into a smooth dough. Take 1 tsp of oil in your hand and rub it all over the dough and place it in a big bowl. 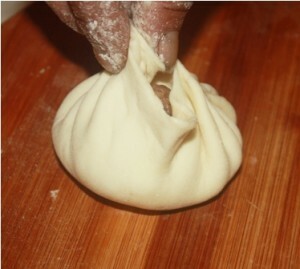 Cover the bowl with a cling flim and let the dough rest for 4-5 hrs. Due to the yeast, it will double in size. Mix all the ingredients of the pork filling and keep it aside. 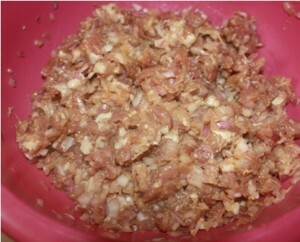 For Da Pao, we normally use finely diced pork in my home as we like chunkier meat in our fillings but if you don’t have the time, then Pork mince will also do. 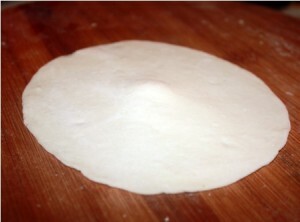 After 4-5, the dough will nearly double in size. Knead it again and divided into 12 balls. 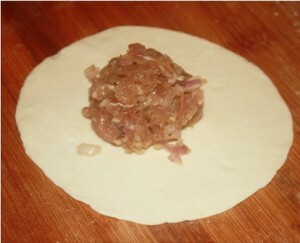 Roll the balls into disc, with a rolling pin, with edges thinner than the middle. Put a spoonful of pork filing in the center and pleat it on the top. If you cannot make the fancy pleats, just ensure that the top is nicely sealed. Repeat this step till all the Da Paos are ready. Using about 1 tsp of oil, grease the steamer and place the Da Paos. Keep sufficient space between the Da Paos as they increase in size. If they are placed to near, then they can stick to each other.Set aside the Da Pao for an additional 15- 20 mins. Add all the ingredients into a mixer and blend. Serve with Da Pao. 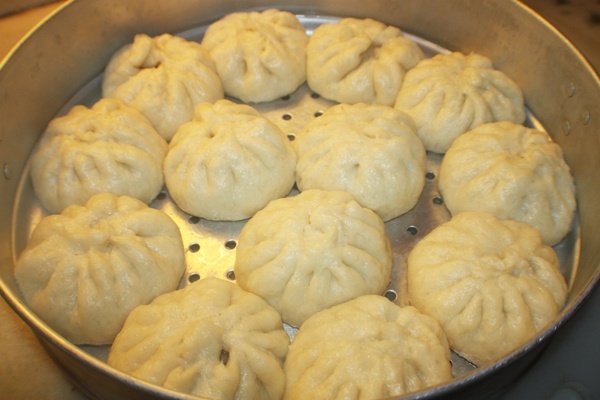 This entry was posted in All Recipes, Breads/Cakes/Rotis/Parathas, Pork and tagged Pork Dapao, Steamed Pork Buns by Kamakshi. Bookmark the permalink. 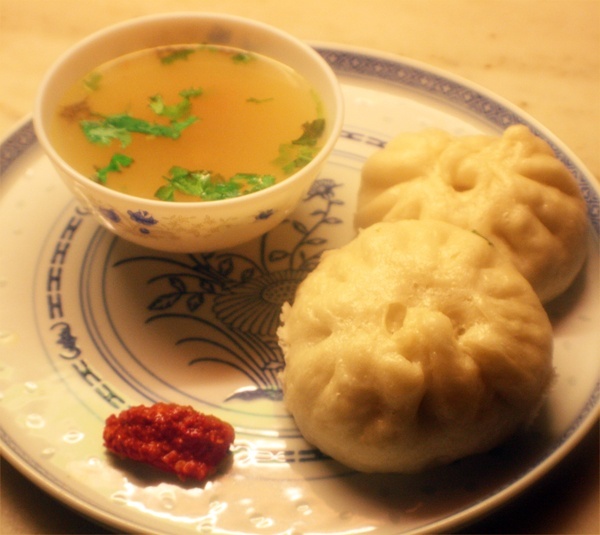 I make this when I am not in the mood to make too many momos. I was just curious if anyone has posted anything about Da Pao and stumbled upon this site while googling which by the way is a great one! My grand Aunt use to own the Mei Hua Restaurant before my mom bought and later sold the restaurant about a decade a ago. 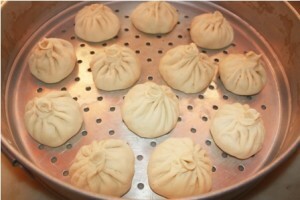 Despite my history with the restaurant – I didn’t learn to make Da Pao until few years ago. Mei Hua was one of my favorite restaurants and I specifically went there to eat Da Paos…. I am so glad to actually see the comment from one of its original owners !